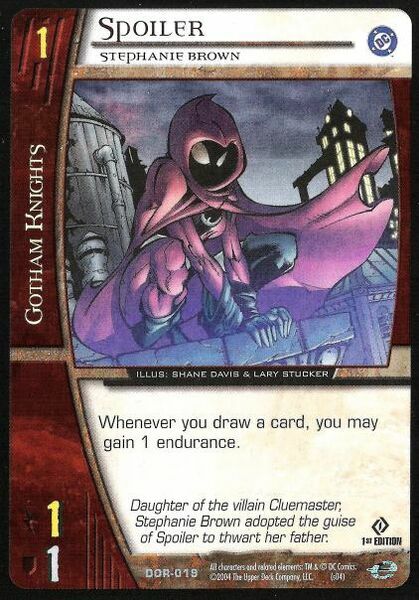 Spoiler, Stephanie Brown: Whenever you draw a card, you may gain 1 endurance. 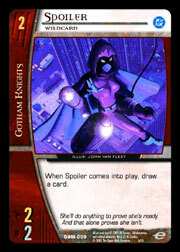 Daughter of the villain Cluemaster, Stephanie Brown adopted the guise of Spoiler to thwart her father. Spoiler as Robin, The Girl Wonder: Evasion. 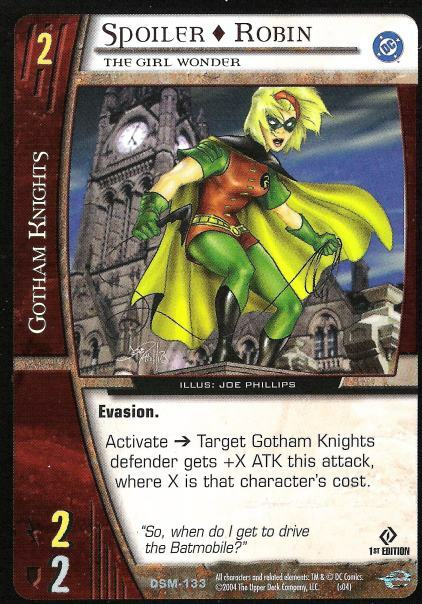 Activate -> Target Gotham Knights defender gets +X ATK this attack, where X is that character's cost. "So, when do I get to drive the Batmobile?" Spoiler, Wildcard: When Spoiler comes into play, draw a card. She'll do anything to prove she's ready. And that alone proves she isn't.